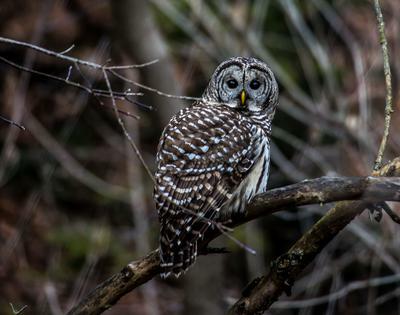 Finally after years of not seeing any owls, I found this beauty while out hiking in the Highland Creek Ravine in Scarborough. I had the dog with me and the owl actually followed us as we walked. Great picture! Thank you for sharing this with us!